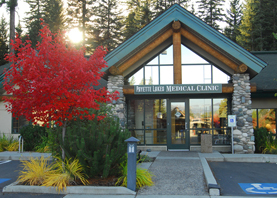 McCall is located in Idaho’s West Central Mountains located on the shores of Payette Lake. Population is around 3000. 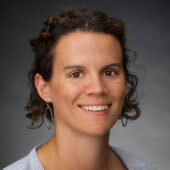 A WWAMI and McCall WRITE graduate, Maureen (Mo) Ferguson, MD is passionate about being a rural family physician and providing a full spectrum of care. She has a special interest in women’s health and obstetrics. She enjoys spending her free time skiing, rafting, and playing ice hockey with friends and family. Dr. Ferguson is also an avid reader. David Burica, M.D., Internal Medicine • Marcia Witte, M.D., Internal Medicine • Steven Bushi, M.D., Psychiatry • Greg Irvine, M.D., Orthopedic Surgery • Amy Ochmad, M.D., General Surgery • Jackie Turnipseed-Aymon, PA-C, Internal Medicine. Boise to McCall: North on Highway 55 about 100 miles, take a left at Deinhard Lane (stop light) to the end of the road; at the stop sign take a right on Mission Street; pass McCall-Donelly High School and take a left over the hill on Forest Street; pass McCall Memorial Hospital; the clinic is on the right side after the hospital. It shares the same parking lot. Lewiston to Boise: South on Highway 195 about 167 miles. To see a map of where we are located and/or get directions from other locations, go to maps.google.com (for directions, click “Get Directions” in the upper left-hand corner where you can input the starting address).Housing: Student housing is a 2 bedroom apartment located in town 2 minutes from the clinic / hospital in McCall. Air Transportation: Boise – most major carriers; 100 miles drive north. Kayaking, rafting, fishing, hunting, hiking, wildlife, and skiing are readily accessible. The Recreation Department will loan fishing equipment to first-timers for free. The Winter Carnival is an annual event that showcases magnificent ice sculptures. The Payette Cup Regatta is held in the summer. Brundage Mountain is the community’s ski resort. Boise is only two hours away. Bus trips are available to Boise Hawks baseball games. Tours at the local smoke jumper base are popular. The new Manchester Ice Center is in the center of town and the Brundage Mountain and Tamarack Ski Resorts are close by. Winters are sunny and snow-filled. Summers are warm (not hot) and sunny. 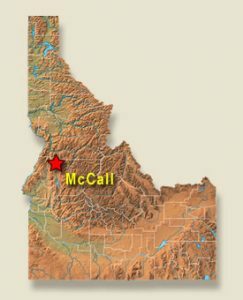 McCall is at 5,000 feet elevation.